Our cosy guesthouse is centrally located in a sunny and quiet surrounding. 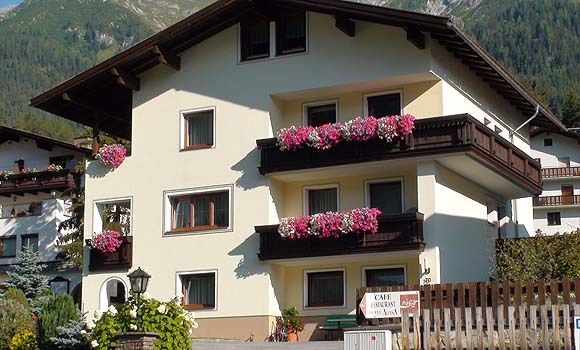 We see it as our duty to spoil you with traditional Austrian hospitality in a family-like environment. Your full satisfaction is what we are striving for. which is located right next to our guesthouse. Enjoy a rich buffet with local specialities and a selection of delicious delicacies, just everything an exquisite breakfast buffet has to offer. - Ski room with ski boots dryer. - Free parking facilities are directly in front of our house. 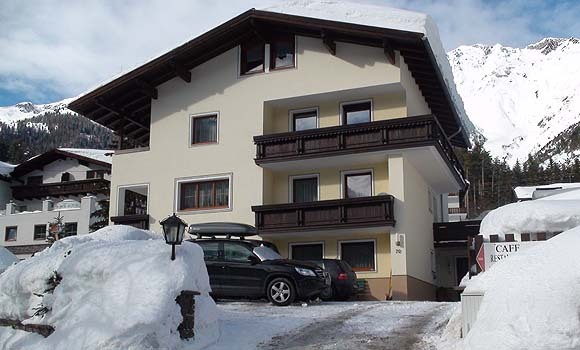 - There is a courtesy ski bus to St. Anton, only a 3 minutes walk away. - In summer our house is a great starting point for scenic walking tours and excursions. indoor swimming pool are both within a few minutes walk. 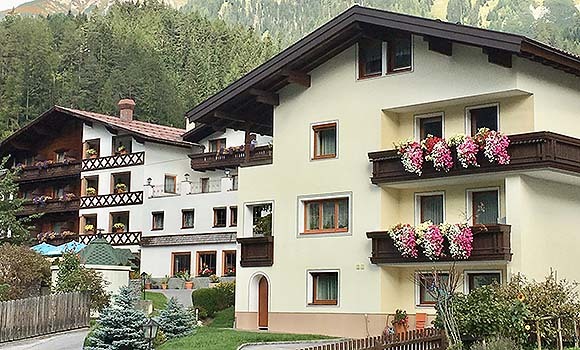 enjoy a delicious breakfast buffet next door at the 3*S Hotel Alpina. Hotel Alpina next to our guesthouse (see price list).